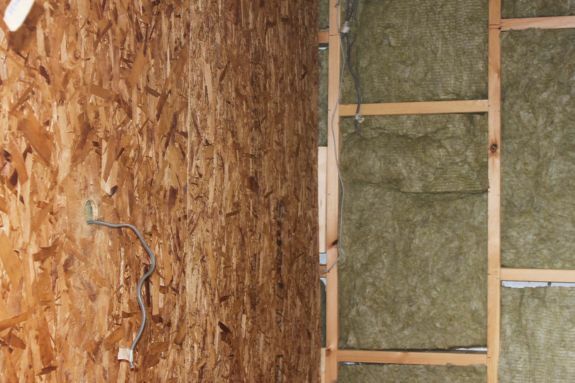 Spent the weekend insulating and lining the inner walls with OSB, all pretty straightforward. 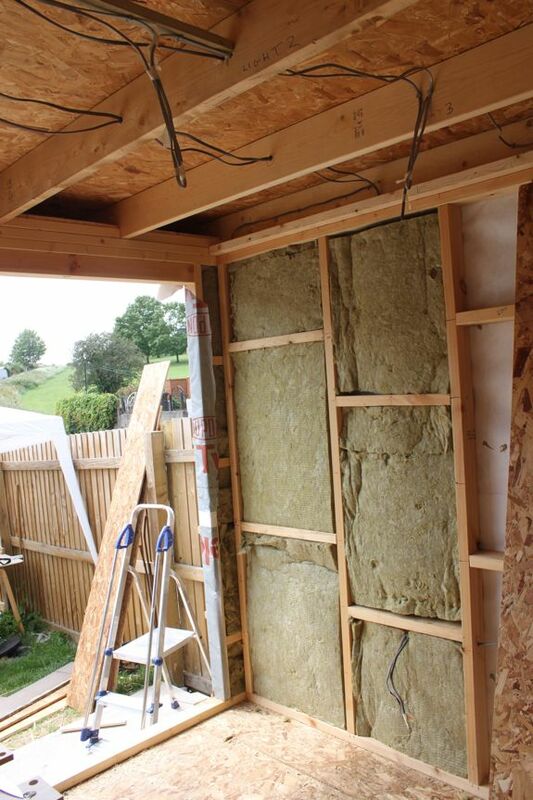 I’m using 90mm Rockwool Flexi slabs which were really easy to work with and 11mm OSB on the walls. 3 Comments on "Day 10-11"
what’s happening dont tell me you’ve had the council round and they’ve said it’s too big like……… i,m looking to you for inspiration !!! Hey Jack, just had a couple of weeks off, this weekend was spent fitting the patio door which didn’t go exactly to plan… will update the blog ASAP, thanks for the comment. Kat showed me your blog yesterday and I am now all over it. Ace progress. 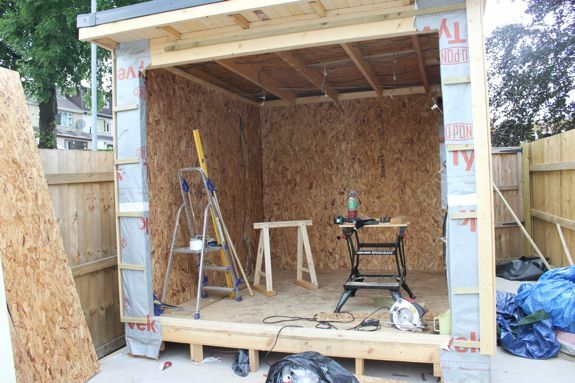 It will be a mega shed.